Learn about the Geology of Utah with maps, photos and expert descriptions! 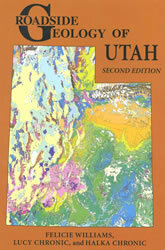 This 6"x9" paperback has 370 pages that are packed with detailed information about Utah Geology. See table of contents below. Second edition. Of What Use Can Such a Desert Be?